In a world full of phones that most keep bumping up to the latest specifications and very little enticing happening on the design front, CREO is a phone maker that aims at bringing in few unique things with their phones. 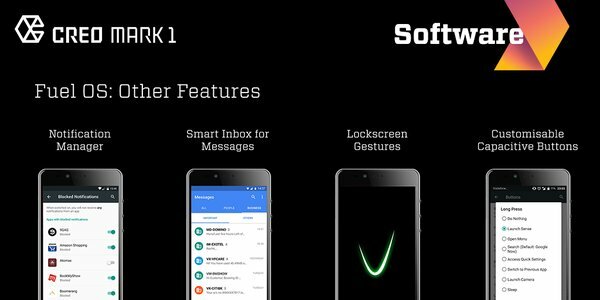 Its been a while since they announced that the much anticipated Mark 1 Android phone will come down to India and earlier today they’ve officially launched the phone for a price of Rs. 19,999 which is a very good pricing and if you wonder why, read on as we walk you through what the phone has to offer. The CREO Mark 1 sports a 5.5 inch QHD screen that packs in as many as 534 pixels per inch and has 2.5D curved glass on either sides of the phone. The overall form factor is similar to any rectangular phones out there and it also has a trio of capacitive buttons beneath the screen. Though there is nothing that is really flamboyancy about the design, it does have a very elegant minimalistic look to it. Under the hood, the Mark 1 is powered by the Mediatek Helio X10 Octa-Core SoC clocked at 1.95GHz and accompanied by 3GB of RAM. The phone has 32GB of internal memory that can be bumped upto 128GB via a micro SD slot. Fuel OS is what runs on the Mark 1 that is built off Android Lollipop 5.1.1 and this is the key strength of the phone though the hardware department is no slouch. CREO has promised to provide monthly updates with tons of customization that will ensure the phone will have a refreshed look in terms of software on a periodic basis. From search indexing to auto answering calls the Fuel OS has tons of tricks up its sleeve that allows for an enriching experience for the user. The phone comes with an interesting inbuilt feature called ‘Retriever‘ that helps you find your lost or stolen phone. It does this by sending email alerts anytime a new SIM is inserted with its number and location and surprisingly it works even after a factory reset without an internet connection. 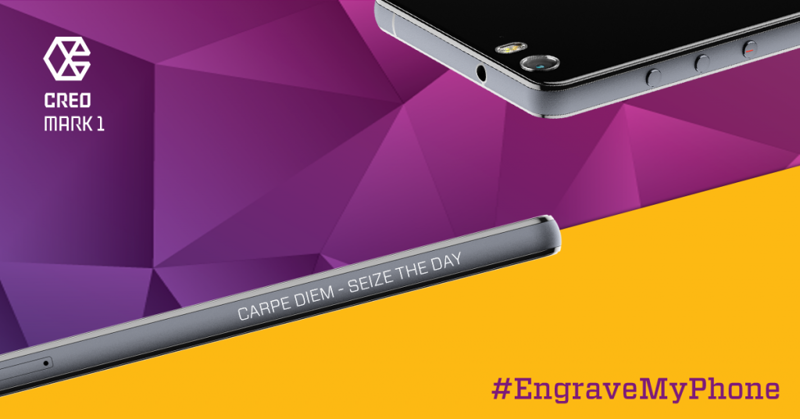 That is not all, similar to MotoMaker from Motorola, CREO is offering custom engraving on the body too! Mark 1 is powered by a 3100mAh battery that also supports quick charging and the company claims that the phone will provide some good battery back up with the software optimizations done. There is a 21 MP primary camera with Sony IMX230 sensor and phase detection AutoFocus that supports 4K video recording and slow motion videos in Full HD at 120 fps which not many phones out there provide! On the front is a 8 MP selfie camera with f/2.0 aperture. With Dual SIM LTE support and all basic connectivity support, Mark 1 seems to be a good offering for 19,999 INR and will provide stiff competition to the Lenovo Vibe X3 which has been doing really good! CREO has already established 100+ service centers in 96 cities of India and looks to expand it more. The Mark 1 will be exclusively available on Flipkart soon and engraving is free for first 2000 orders. Where to buy the Creo Mark 1 OUTSIDE of Inida and not using their payment options?